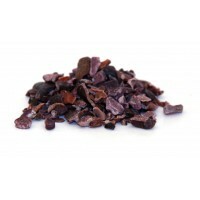 Cacao Butter is edible and possesses an extraordinary rich, delicate chocolate aroma. Certified Organic and Raw Cacao Butter. A pure, unrefined cacao butter made from certified organic, raw Criollo cacao beans and containing zero sugar or milk. With an intense flavour, raw cacao butter contains vitamins, minerals, fibre and essential fatty acids. No chemicals, no hexane, no solvents. This raw cacao butter is made from 100% certified organic Criollo beans a superior variety of cacao bean that accounts for only 1% of the total world cacao production. Raw cacao butter (also known as theobromine oil) is a yellow vegetable fat that is extracted from raw cacao beans using a patented cold press method. The liquid butter is left to set in small drops. The cacao beans are incredibly pure and contain no mycotoxins, fungi or yeasts. Mix the raw cacao butter directly into your choice of smoothies, nut milks, protein drinks and juices, or use it to create a mouth-watering range of raw chocolate desserts, raw desserts and chocolate bars. Cacao Butter can also be applied directly to the skin or used in combination with a selection of massage oils. 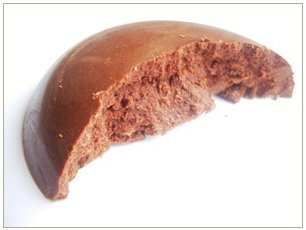 Because it has not been damaged by heat, our cacao butter melts easily. Start by finely chopping up the cacao butter. Gently melt the chopped cacao butter. Pour the melted cacao butter into a bowl and add all the remaining ingredients and whisk everything together. When smooth, pour into desired moulds and put into the fridge for around 2 hours or until set. Add everything to a blender and whizz until smooth. Pour into any mould and put in the fridge to set. 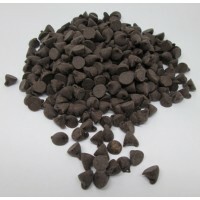 Raw cacao is commonly used in traditional Chinese and Ayurvedic medicine. Cacao butter is a standard ingredient in many cosmetic products, including body creams, body lotions and ointments and can applied directly to your skin. Store in a cool, dry place. 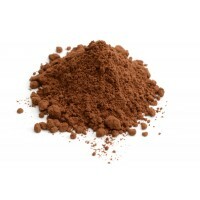 Cacao Butter has a high level of stability and a long shelf-life (over a year). 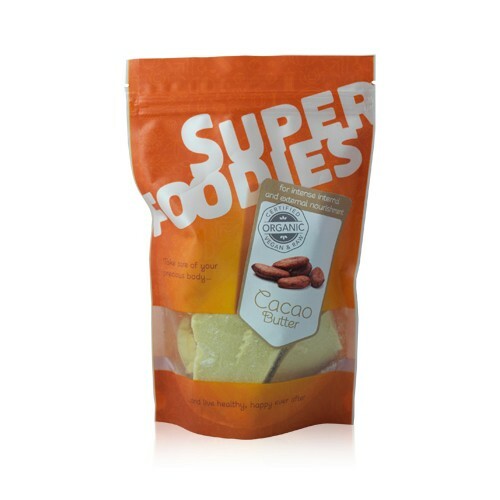 Same great Detox Your World Cacao Butter, now in a brand new Superfoodies bag! 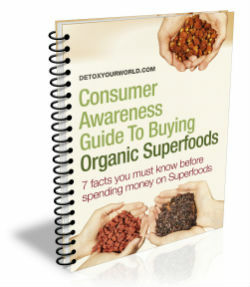 Do not buy raw cacao if you have an allergy to caffeine or other ingredients in raw cacao. Always read the information on the packaging before choosing to eat raw cacao. Smoothies, nut milks, protein drinks, juices, raw chocolate desserts, raw chocolate bars. Can be applied directly to skin. May cause digestive complaints including stomach pain, nausea and constipation. Contains theobromine, theophylline and caffeine, which can have a stimulating effect. Always use raw cacao in moderation if you are pregnant, breastfeeding or suffer from any type of anxiety disorder. Consult your GP before you order raw cacao, especially if you have raised blood sugar levels, cardiac arrhythmia (tachyarrhythmia), or suffer from diabetes, irritable bowel syndrome, gastro-oesophageal reflux disease or migraines. Do not eat raw cacao for at least two weeks prior to surgery, as raw cacao can influence blood sugar levels both during and post surgery. 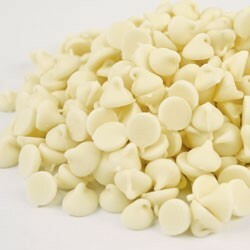 Use it to make tasty chocolate desserts - will perhaps try it as skin conditioner too ! Makes the most gorgeous raw chocolate ever. Tastes quite nice by itself too. Not sure I could ever use it on my skin 'cos I would want to lick it off!!!!!! One of the most delicious foods known to humans! Slap it on your skin, eat in, drink it, pure delight, the best!